New to Ghostbikes, the Oxford Comfy HD Colours 3 Pack. The Oxford Comfy range represents the ultimate in head and neck comfort; the breathable properties, wind resistant material and an entirely seam-free design provide you with lightweight comfort all year round. An essential piece of multi-functional headwear, the Comfy can be worn as a bandana, a full face balaclava, an open face balaclava, a beanie, a face mask or simply as a neck scarf. 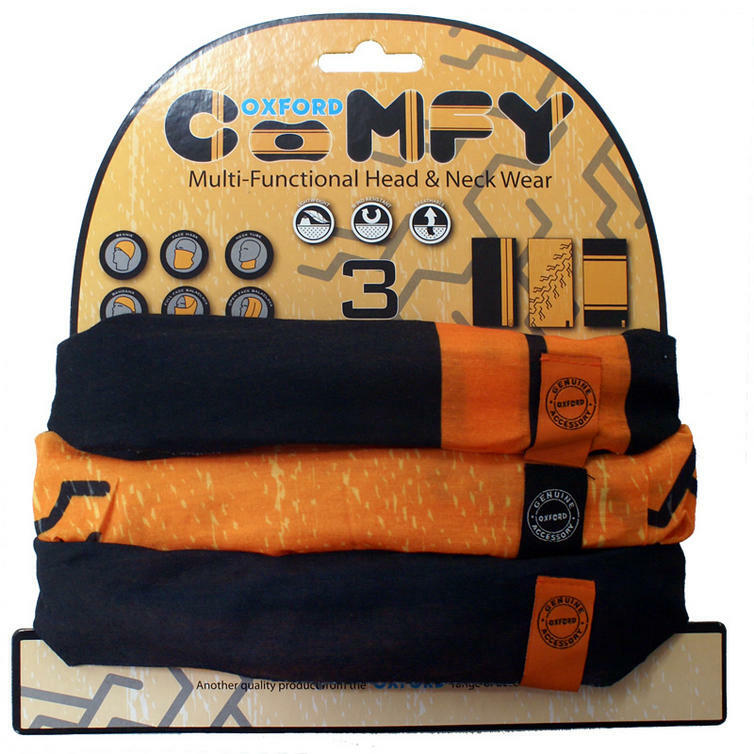 The Oxford Comfy HD Colours 3 Pack is a perfect blend of vibrant design and practicality, making it a must-have bikers accessory. Keep the all too sensitive neck area warm, safe and stylish on every ride. Don't miss out, get yours from Ghostbikes today!! Ghost Bikes now stock a full range of Oxford Comfy Head & Neck Wear Please click here to see what's currently available. The Oxford Comfy HD Colours 3 Pack is currently available in the colours shown in the product variation above, if there is no variation option, it will be available in the colours as shown in the pictures above.